This calendar is now fully mobile optimized. All members can use the RSS button at the bottom of the page to synchronize with their own calendar and have every club event or just selected categories directly uploaded to their own calendar on their phone automatically! If you do not want to see all the categories of events, the calendar can be filtered down so that you only see the categories that you are interested in. 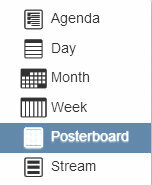 To filter the calendar, click on categories in the top left of the calendar to bring down a drop down menu. Select the category you are interested in and only events from this category will be shown. To add additional categories to your filter, click on categories again and choose another category, repeat this process for further additional categories. Each category you select will be highlighted in blue and the categories button itself will be highlighted in green to indicate that it is being filtered. To remove your filter, click on the x button inside the green highlighted categories button and all events will be displayed again .